Brothers Drake is Columbus’ first Meadery located at 26 E. 5th Avenue in Weinland Park, a neighborhood of the University District and the Short North Arts District. If you’re not familiar, mead is wine made from honey. More poetically, mead is the drink of the gods, cherished from the time of the Pharaohs to the Emperors of China. Woody and Eric Drake started making mead in 1994 and after winning numerous home-brew awards, the idea of forming a business took hold. 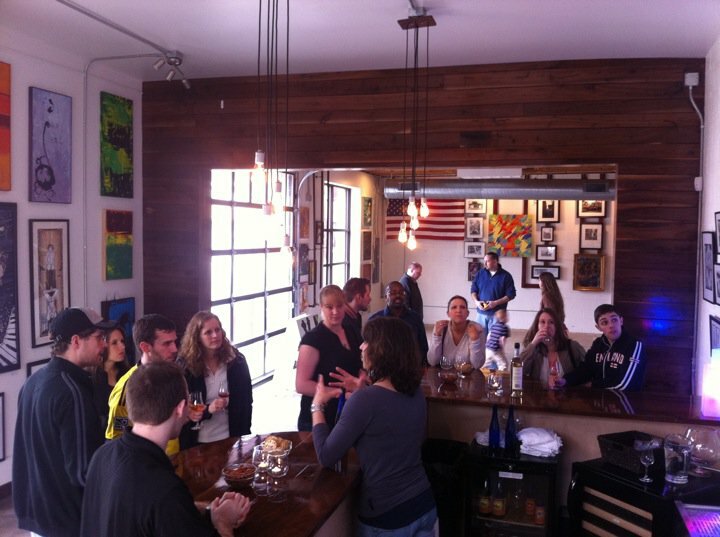 Brothers Drake opened in 2008 and moved to 26 E. 5th Avenue to increase production and connect more people together around mead, art, music, and community! 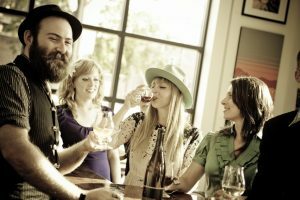 Brothers Drake is open seven days a week for tasting flights, glasses of mead, mead bottle sales, and a gourmet honeywine adventure. The space includes an art gallery with music, video and art shows. Food trucks will park outside the building on most evenings for those that get hungry. Brothers Drake is a proud supporter of local and traveling musicians to their venue. Jazz performances are a regular occurrence here along with a wide variety of other musical styles. 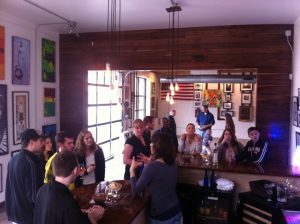 The cozy interior and hip ambiance along side great local music, art and people, make a visit to Brothers Drake a must.